Do you want to know when Duke Ellington was king of The Cotton Club? Have you ever wondered how old Miles Davis was when he got his first trumpet? 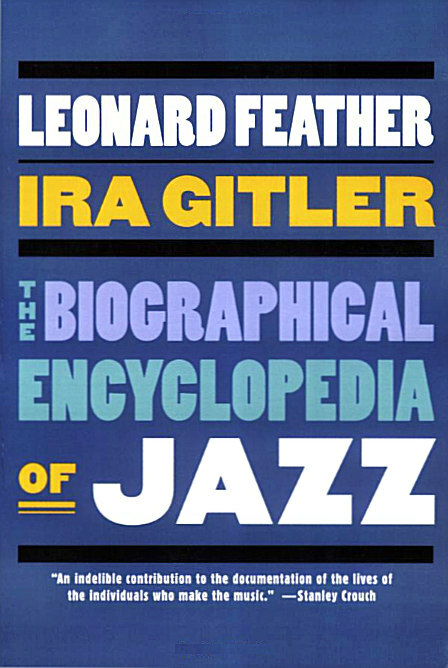 From birth dates to gig dates and from recordings to television specials, Leonard Feather and Ira Gitler have left no stone unturned in their quest for accurate, detailed information on the careers of 3.300 jazz musicians from around the world. We learn that Duke Ellington worked his magic at The Cotton Club from 1927 to 1931, and that on Miles Davis' thirteenth birthday, his father gave him his first trumpet. Jazz is fast moving, and this edition clearly and concisely maps out an often dizzying web of professional associations. We find, for instance, that when Miles Davis was a St. Louis teenager he encountered Charlie Parker and Dizzy Gillespie for the first time. This meeting proved fateful, and by 1945 a nineteen-year-old Davis had left Juilliard to play with Parker on 52nd Street. Knowledge of these professional alliances, along with the countless others chronicled in this book, are central to tracing the development of significant jazz movements, such as the "cool jazz" that became one of Miles Davis's hallmarks. Arranged alphabetically according to last name, each entry of this book chronologically lists the highlights of every jazz musician's career. Highly accessible and vigorously researched, The Biographical Encyclopedia of Jazz is, quite simply, the most comprehensive jazz encyclopedia available. 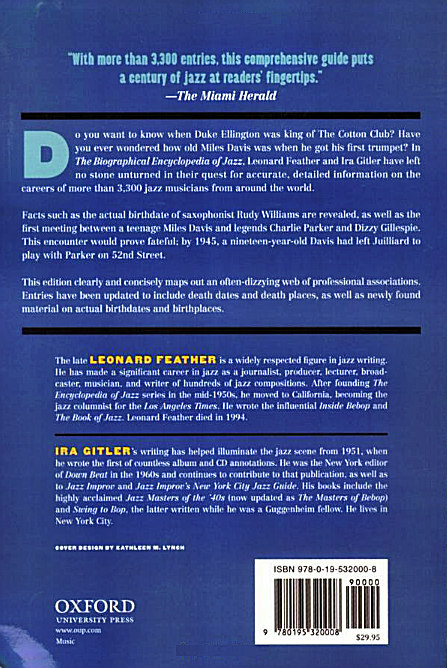 The Biographical Encyclopedia of Jazz series was Leonard Feather's franchise for decades, providing fans with large-format books that featured photos of jazzers and short bios detailing their background and recordings. 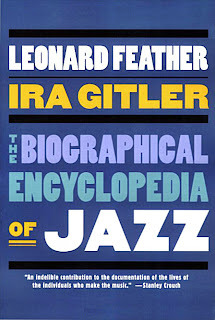 When Feather passed away in 1994, though, his editorial partner Ira Gitler was left with the task of completing this new edition, then four years in development. 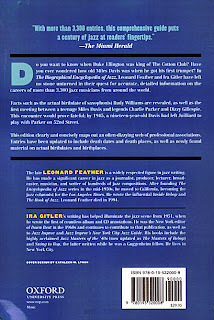 It's much different from Feather's earlier volumes ─The Encyclopedia of Jazz in the 60s, for example─ opting for an all-text coverage and a standard-size hardcover, emphasizing perhaps the book's inarguable value as a reference. For historical purposes, the book is vastly important, giving extremely concise rundowns of musicians' lives─so concise, in fact, that most multisyllabic words are abbreviated. For contemporary players, though, especially Europeans, the volume is spotty. Trumpeter Joe Morris, who wrote "Punch & Judy" and played throughout the 1940s and '50s with Johnny Griffin, Elmo Hope, and others is certainly important. But what of the living Joe Morris, who's not a mainstream player but who nonetheless possesses amazing skills that reach at least as far as his predecessor? And while trumpet virtuoso Michael Philip Mossman is here, where is John Zorn? This isn't nitpicking on the mainstream so much as it is recognizing that books like Jazz: The Rough Guide have stepped up to address the skimpy coverage of living, thriving musicians. Having said all that, it's vital to note Gitler and Feather's strengths: they've canvassed the past thoroughly, reaching to Italy to include reed dynamo Gianluigi Trovesi and pianist Giorgio Gaslini (but not trumpeter Pino Minafra or saxophonist Carlo Actis Dato). They've also caught key players from the early 20th century and from the peak bebop and hard bop eras, as well as the 1970s, when the avant-garde and fusion reigned in an oddly shaped jazz world. But these biographies were always Feather's and Gitler's strengths, making earlier by-decade editions of the Encyclopedia so important. As a librarian, I can't begin to explain the value of this volume for use by students and other patrons wanting concise but informative biographical information on jazz musicians ─ a very popular topic for school reports. The entries may be short, but they are complete, and can serve as a starting point for further research.